Growing up, Mr Tan Tong Hai and his five siblings lived in a one-room rental flat in Redhill with their parents. The home was bare, furnished with just a table and some chairs. They could not afford a TV set. A typical meal was rice with black soya sauce. His clothes and school books were hand-me- downs from a neighbour or his brother. The 1960s was a tumultuous period in Singapore history, with a weak economy, very high unemployment and widespread poverty. Mr Tan remembers his mother, an illiterate, regularly exhorting her six children: "Study hard and be successful. Don't let people look down on you." 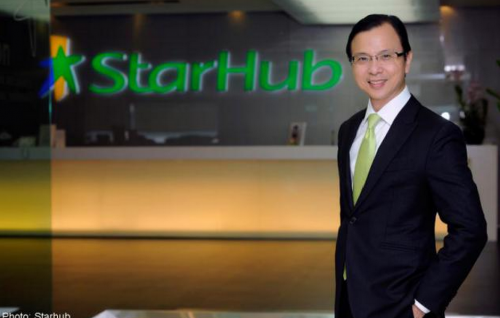 Now aged 51, he is the chief executive of StarHub. His home? A landed property in the high-end Holland Road area. Mr Tan credits his success story to the "solid foundation" provided by Singapore's education system. "I was one of the beneficiaries of the system, which lifted me from poverty to where I am today," he said. The emphasis the late Mr Lee Kuan Yew placed on education is legendary as the Government saw it as pivotal in creating a quality workforce to grow the country's economy and improve people's lives. Mr Tan's parents sent all their six children to Tiong Bahru Primary School. Though school fees were "affordable", he said, his late father's earnings as a cabby were not enough to buy new school textbooks, uniforms and shoes for all his children. At the start of every school year, he had to borrow money. "For the rest of the year, my father would slog to pay the debt, only to start the process all over again in January the following year." In 1976, Mr Tan started Secondary 1 in Gan Eng Seng School because "I could use my older brother's uniform and books". He did well and got into Hwa Chong Junior College. With government bursaries and scholarships available for bright children from low-income families, "I was even more motivated to study hard", he said. Like many in his generation, he could also turn to community groups, unions and business organisations for study grants. Mr Tan received his first scholarship in 1980, when he was in his first year at Hwa Chong. It came from the Singapore Chinese Chamber of Commerce and Industry. He subsequently received financial aid every year until he completed his four-year electrical engineering degree at the National University of Singapore. His first job was at multinational IBM, as a software engineer, and with his first pay, he helped his parents buy an HDB flat in Bishan in 1989. The entire family moved into the four-room flat. It has since been sold and his mother, now 80, lives with one of his siblings. Mr Tan credits his achievements to Singapore's meritocratic education system. He wants his 19-year-old daughter and 17-year-old son to enter a local university - just as he did - though fees are no longer an issue.